Why Should You Choose A Professional Vacuum Service? 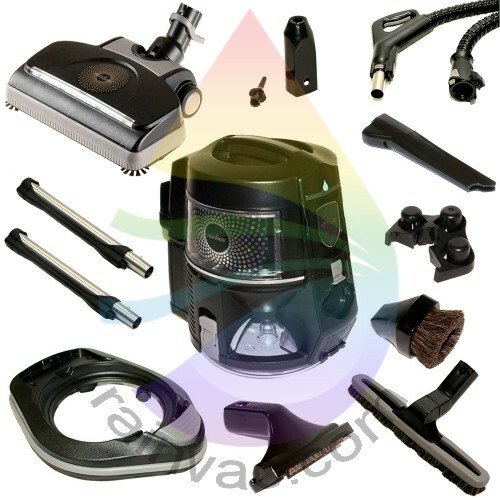 You are here: Home » Rainbow Vacuum Repair » Why Should You Choose A Professional Vacuum Service? Posted by Steve Morgret on November 24th, 2013 15:57pm in Rainbow Vacuum Repair. Last Updated on January 19th, 2018 07:40am. Vacuum repairs can be done in a number of ways, each with their own cost. The cheapest is to do the repairs at home, as all that is needed is the part and a little time. The next option is to rely on a repair service who can either fix it in the home or at their location. Many first try to fix it at home if the issue is minor. However, there are many times when a professional is the better option, such as trouble with the motor or with the plug and attachments. When a vacuum cleaner breaks, the immediate effect is that there is no way to keep the floors clean, which leads to buildup in no time. This makes getting the Rainbow vacuum in for service very important. One temporary measure is to use a handheld vacuum or a disposable sweeper to keep the floors clean. This is a decent option if the sweeper will only be out for repairs for a few days but for longer repairs temporary options may not be able to keep up. If the repair is estimated to take a long time, or is very expensive, some opt to purchase a new unit. The reason for this is that they may find that the cost is about the same, but by buying a newer model they get more features. Those who choose to have their unit serviced do have a few options available to them. The first option is to contact technical support by phone or email in order to speak to a professional about their problem. Minor problems can typically be handled in this way, such as a clogged hose, or a roller brush that has stopped functioning. They may even be able to handle slightly larger problems, such as replacing the latches or other small parts. If the problem cannot be solved in this way, the next option is to have it sent away for a repair. The advantage of a professional service is that their repair facilities are equipped to handle every type of problem that the units have. The turn around time does vary for a number of reasons. One of the biggest factors is how serious the issue is. Very large issues may take longer, especially if the source of the problem is not easy to find. The availability of the part is another big factor in how long it takes to get the unit repaired. If the part is on back order or otherwise not readily available it may take a few extra days or even weeks to get it. If there are delays in getting the part, there may be an option to use a refurbished or used part instead of a brand new one. This is sometimes a great option as it may cost less than using newer parts. The last, and sometimes most important, reason to choose a professional for any repairs is that some of them offer free pick up and delivery of the unit. This does vary from one company to the next, which is why it pays to shop around. The reason free pick up and delivery is so important is that paying to ship the unit can be expensive and when repair bills are looming, it can sometimes make the total cost very expensive. In some cases, the repair service for the Rainbow vacuum may be arranged by technical support in order to make it even easier for owners. The support representative may schedule the pick up, and even help arrange the delivery after the repairs.